For a home business wanting to grow through networking, referrals, and mentorship, It's easy to see why LinkedIn is the place to be. Like other forms of Internet marketing, marketing a small or home business on LinkedIn is inexpensive (setting up a profile is free) and effective. Create a LinkedIn login, if you're not already a member. Create a great LinkedIn profile that focuses on how your home business can help other members of LinkedIn. Your goal is to avoid a boring ho-hum profile, and instead to create a profile that attracts people to you. Unless you're a freelancer, consider creating a LinkedIn company page for your business. You'll have the opportunity to do set up a business page as you complete the resume section of your LinkedIn profile. Your company page will be automatically linked from the resume in your profile. There are two main ways to dive into LinkedIn business promotion - using a passive approach or taking proactive action. Either way, like all other marketing strategies, the more time and effort you put into your LinkedIn marketing efforts, the bigger the rewards. Giving you exposure to people hunting for products or services. LinkedIn's search features allow others who are looking for what you offer to find you. Getting you introductions to potential clients. Your LinkedIn business connections can give you an in with people and businesses you might not otherwise be able to reach. Displaying your recommendations from others on LinkedIn. Recommendations are word-of-mouth testimonials for you and your business. They provide credibility that encourages people to do business with you. Post regular status updates. Talk about what you're working on and who you're working for. Include updates that would be of interest to your target customers and clients. Focus on how what you're doing can help others achieve their goals. Participate in groups. Join groups related to your business and your interests. Discussion participation can help establish you as an expert in your field. Don't spam or always talk about your business. Instead, answer questions and be a resource that people trust. Send messages and invitations to those in your network and to other group members. Again, don't be a spammer or a pest. Your goal is to create professional connections that are mutually beneficial to you and the other person. Try LinkedIn advertising. Paid advertising on LinkedIn is still a relative bargain and can get your business in front of your market quickly. Consider upgrading to a paid LinkedIn membership. This will give you additional contact options and other benefits that may be a good fit for what you're trying to accomplish. LinkedIn offers "Career," "Business," Sales," and "Hiring" upgrade options. Often, LinkedIn offers a free trial so you can test out the additional features from a paid membership before committing to it. Adding LinkedIn to your marketing strategy can help you expand your network, find clients/customers, and create a professional image for you and your business. Consider adding a LinkedIn Badge to your website or blog, so your visitors can see your profile. Even if you don't think LinkedIn can work for your business, it's worth a tour to check out how others in your field are maximizing what LinkedIn has to offer. 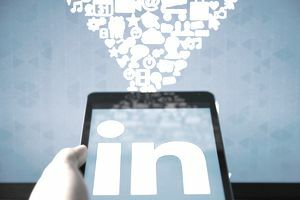 As a networking resource, LinkedIn can give you connections that can lead to publicity, more work, and other great business growing advantages.